Author(s): Erich F. Wedam, Mark C. Haigney. Division of Cardiology, Department of Medicine, Uniformed Services University of the Health Sciences, A3060, USUHS, 4301 Jones Bridge Road, Bethesda, MD 20814, USA. Synthetic opioid agents have been used in modern medicine for over a century and for opioid addiction treatment for over a half-century. Liberal use of opioids in the United States has been attended by an extraordinary increase in opioid-related mortality, with over 16,000 deaths in 2012. As there have been advances in opioid agents for pain and addiction, so have there been advances in our understanding of the cardiac effects of these agents. In the last 10 years, significant data regarding electrophysiologic effects of these agents have been collected. We aim in this review to discuss the effects on cardiac electrophysiology of the various opioid agents currently in use and the evidence that these effects are contributing to the rise in opioid-related mortality. Keywords: hERG, opioid, QT, sudden death, torsades. Affiliation:Division of Cardiology, Department of Medicine, Uniformed Services University of the Health Sciences, A3060, USUHS, 4301 Jones Bridge Road, Bethesda, MD 20814, USA. 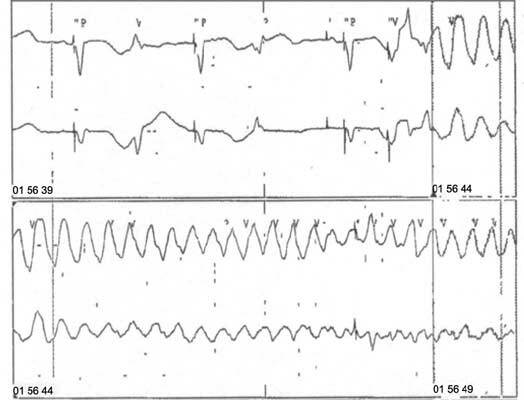 Keywords:hERG, opioid, QT, sudden death, torsades. Abstract:Synthetic opioid agents have been used in modern medicine for over a century and for opioid addiction treatment for over a half-century. Liberal use of opioids in the United States has been attended by an extraordinary increase in opioid-related mortality, with over 16,000 deaths in 2012. As there have been advances in opioid agents for pain and addiction, so have there been advances in our understanding of the cardiac effects of these agents. In the last 10 years, significant data regarding electrophysiologic effects of these agents have been collected. We aim in this review to discuss the effects on cardiac electrophysiology of the various opioid agents currently in use and the evidence that these effects are contributing to the rise in opioid-related mortality.